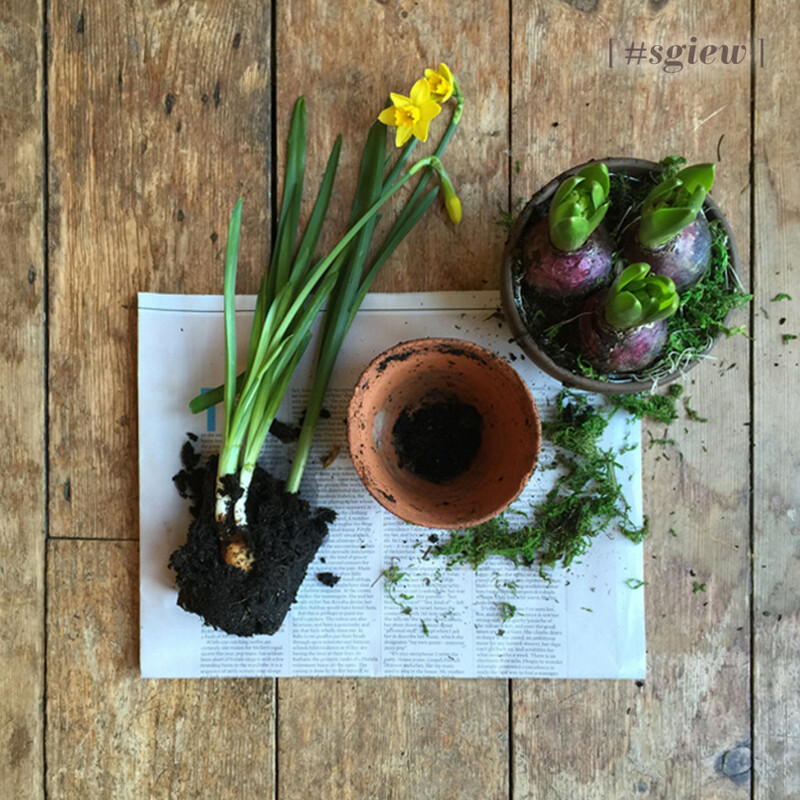 It’s time for a new ‘so good in every way’, it’s #herecomesspring, let’s fill the #sgiew feed with the signs of SPRING! Exciting news, Katie, over on ktrobbinsceramics.com (also known as @ceramicmagpie over on instagram) is this week’s #sgiew guest judge – we asked Katie to tell us a bit about herself, oh, and there will be a PRIZE again this week too (a ceramic and porcelain mug from @ceramicmagpie seen here)! Ali: So Katie – tell us what influences do you draw from in your work? Katie: as a ceramic artist, working with porcelain, my work is influenced a lot by my love of plants and the natural world and: the crest of a wave, the radiance of a shell, rugged stones, sea-foam; many of these are hinted at in my designs. In addition to these coastal influences my work is informed by a love of pattern and texture – dots, circles, and leaves feature prominently. Ali: What are the most appealing colours in your work? 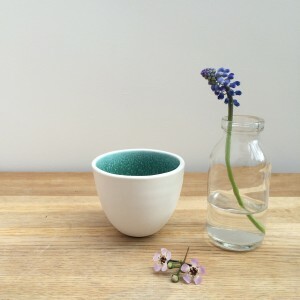 Katie: Whilst I love the purity and simplicity of white porcelain, I am also excited by the colour potential of glazes including soft blues, mint greens and sea-blues. Ali: Can you tell us about your production process? Katie: Much of my work is ‘slip-cast’ which means that I use a mould (that I have made myself) as the starting point of a design, which I will then embellish, carve into, decorate with coloured clays or glazes. To find out more about Katie’s work visit her beautiful website at www.ktrobbinsceramics.com and of course follow her on instagram as @ceramicmagpie. NOW pop over and check out #sgiew on instagram – enjoy! Thanks so much for asking me to be a guest judge. I think spring is one of my favourite seasons so can’t wait to see all the spring images! we love your work Katie – thank you so much for being guest judge, AND providing such a beautiful prize!